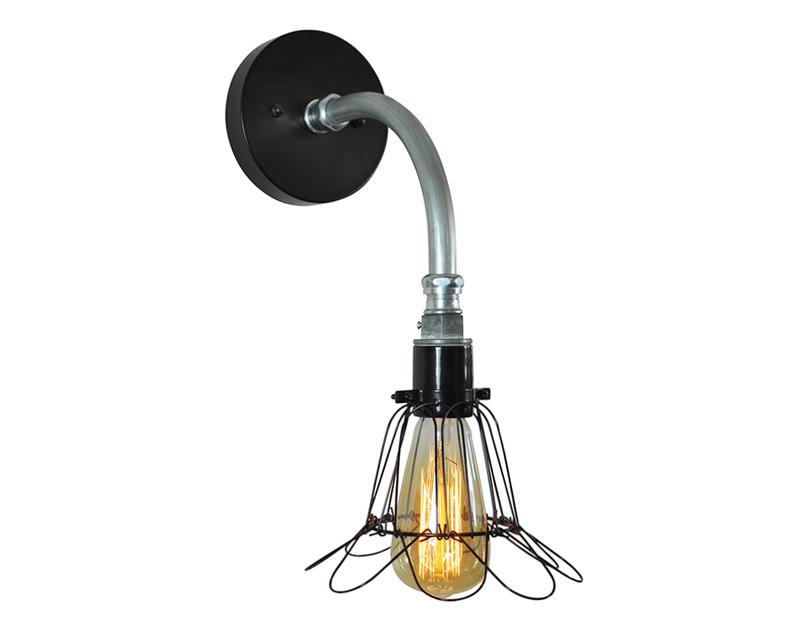 Accent your wall with this versatile factory style pipe sconce light, it features a round canopy in black with a swooping 90 degree metal arm and a heavy-duty black porcelain socket. 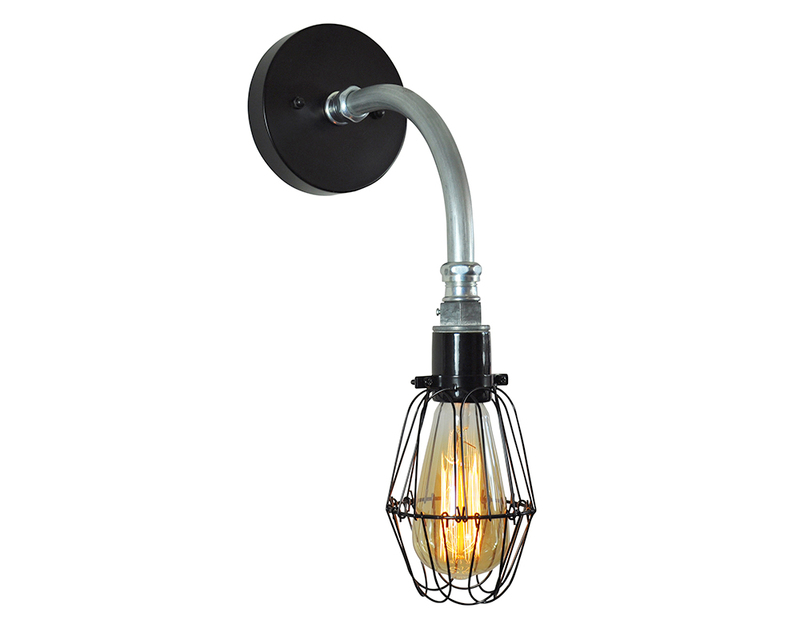 The dimmable Edison bulb is protected by an adjustable hinge safety cage in black. 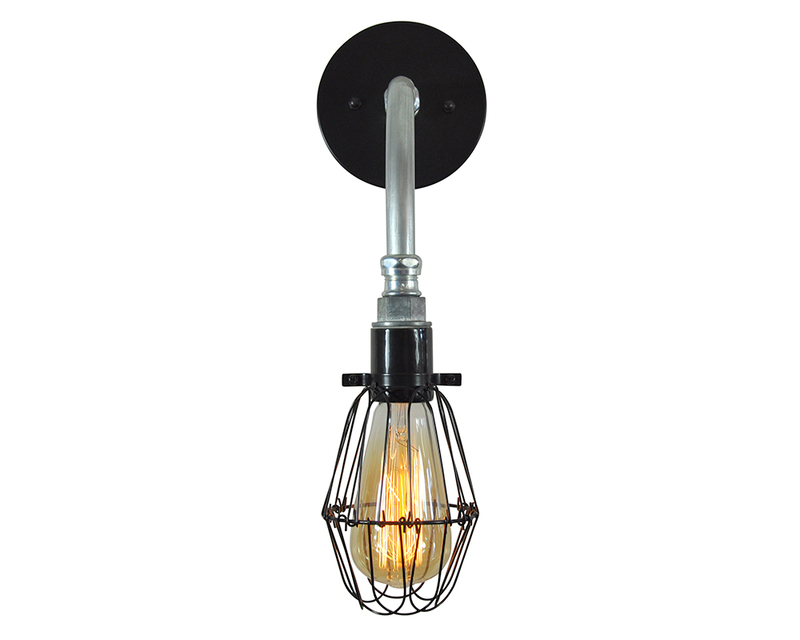 The fixture can be mounted with the bulb either down or up.